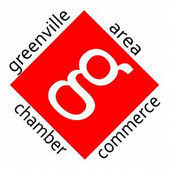 Hungerford, Aldrin, Nichols & Carter - Website of greenvillebusinessnetwork! Hungerford Nichols CPAs + Advisors offers everything you’d expect from an accounting & advisory firm – tax consulting and planning, estate planning, audits, specialized accounting services and preparation of all financial statements. But beyond that, Hungerford Nichols offers many highly specialized services that you would normally have to go outside for.